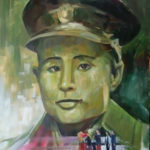 YANGON — Seventy years ago, Gen Aung San, widely regarded as Myanmar’s independence hero, was assassinated along with seven of his colleagues and a bodyguard. 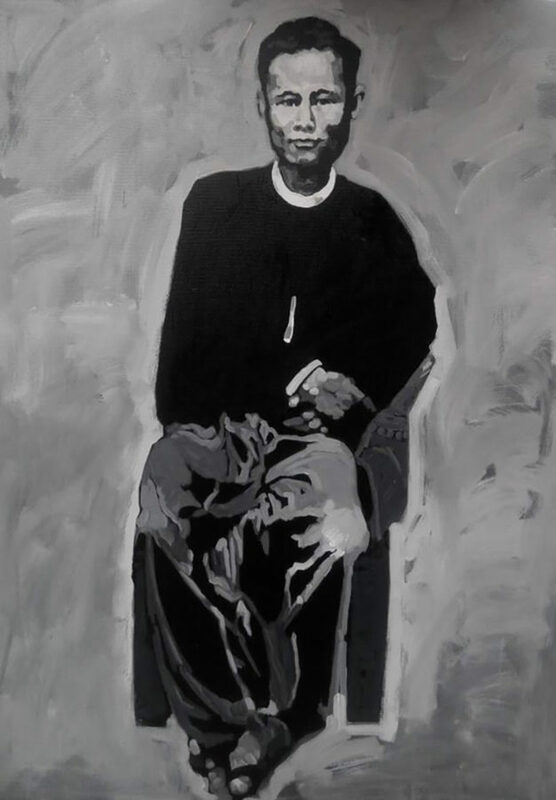 With Myanmar observing Martyrs’ Day on Wednesday in remembrance of their tragic deaths, nine artists firmly believe the spirit of Aung San is still present. 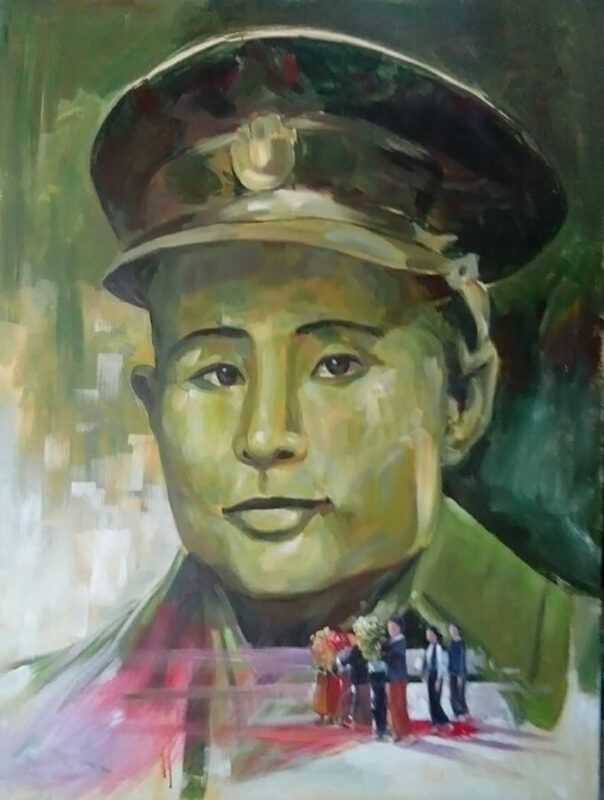 Only July 19, people will visit the Martyrs’ Mausoleum where Aung San, who is still commonly referred to as “the General,” was entombed, the Secretariat Building where he was assassinated and his house in Yangon’s Bahan Township, which was turned into a museum. 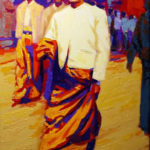 But nine artists—Suu Htet Aung, Myoe Kyaw, Htin Lin Naing, Thaw Thaw Tint, Wunna Thitpin, Ko Thet, Ko Soe, Maharzan, and Nyein Chan Ko—will be at an art exhibition titled “Aung San Be Still Alive!” at Maharzan Gallery in Kandawgyi Park. 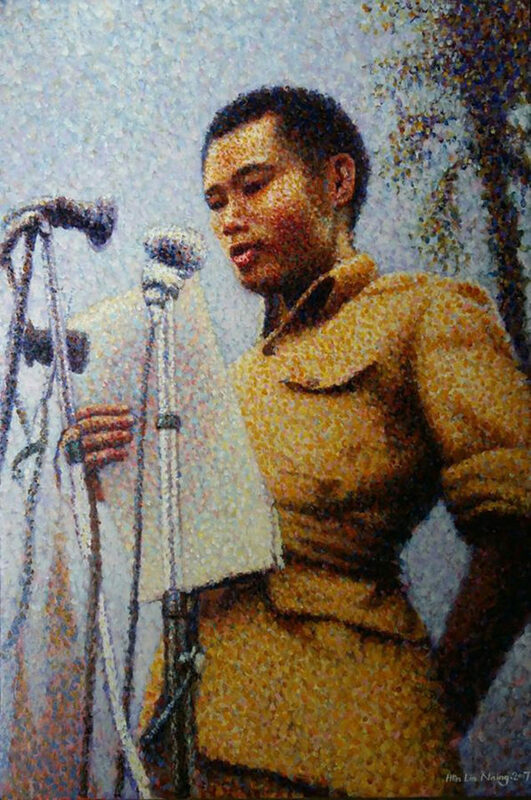 The exhibition will be launched on Martyrs’ Day and continues until the end of this month, featuring works depicting the life of Aung San as a student leader, leader of the Anti-Fascist People’s Freedom League, known by its Myanmar acronym Pa Sa Pa La, a military general, a parliamentarian, and a minister. 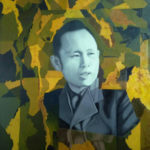 Ko Thet’s painting shows Gen Aung San in black and white, surrounded by broken pieces of colored Myanmar maps. 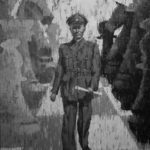 “These maps depict the General’s efforts to unite and free Myanmar, which was colonialized and divided into mainland and hilly regions. 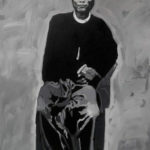 His portrait amid the maps represents his honesty and righteousness,” Ko Thet told The Irrawaddy. 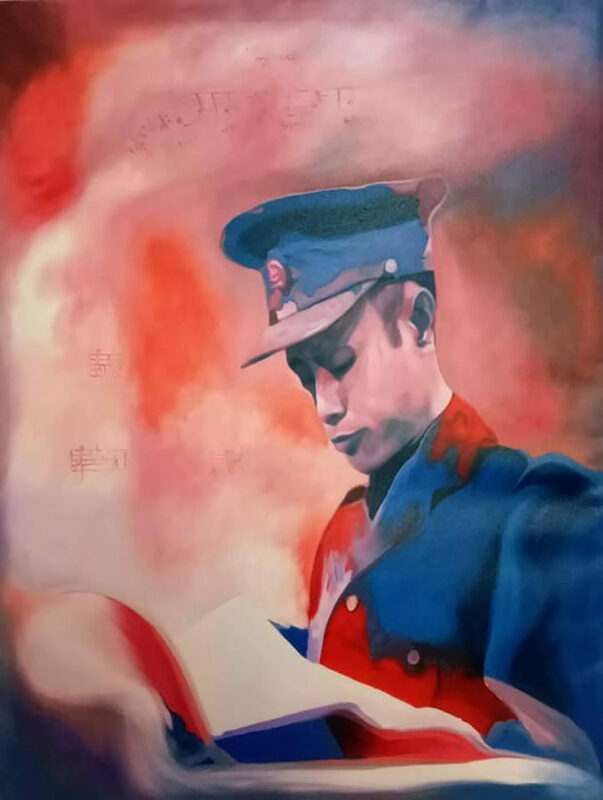 Artist Htin Lin Naing focused on Aung San in action—one of his pictures shows Aung San going to Parliament in a longyi; another shows him vigorously addressing the public at Yangon City Hall. 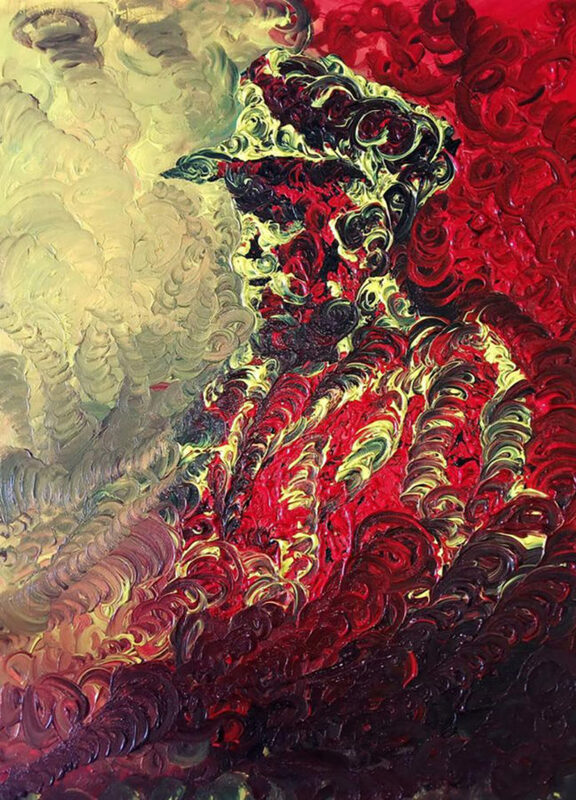 “I’ve respected him since I was a child. 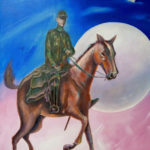 I admire his love for the country. 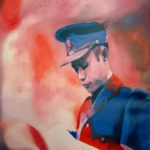 He is the father of Myanmar’s independence, and the independence architect. 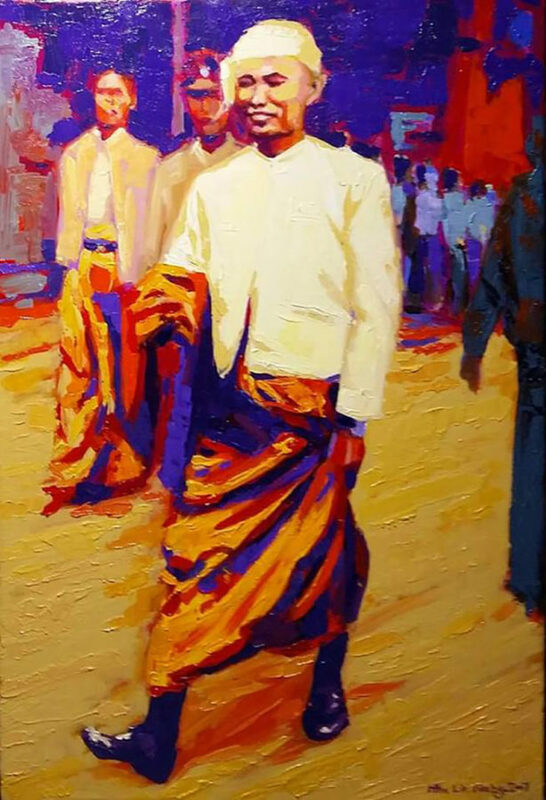 I am glad and proud that I’ve had the chance to draw him,” said Htin Lin Naing. 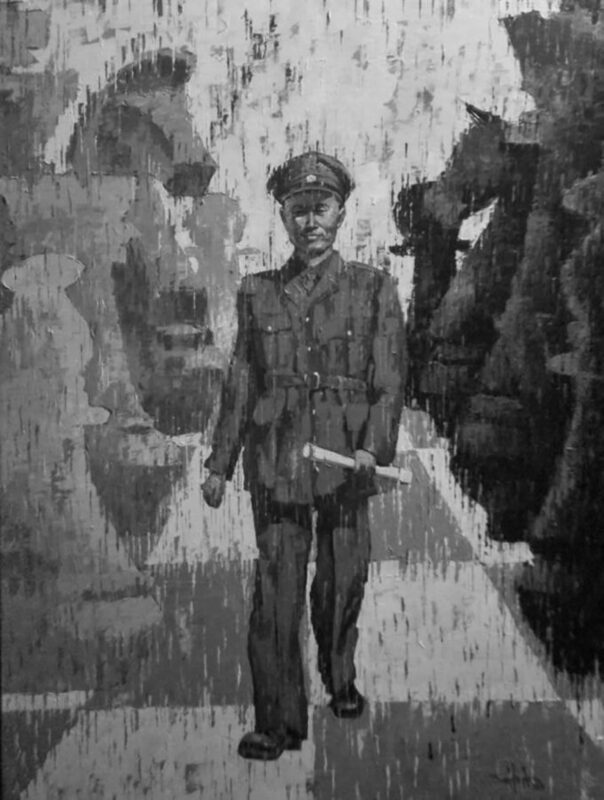 Suu Htet Aung’s picture depicts Aung San smiling reassuringly, as he strides through the middle of a chessboard, a roll of paper in his hand. 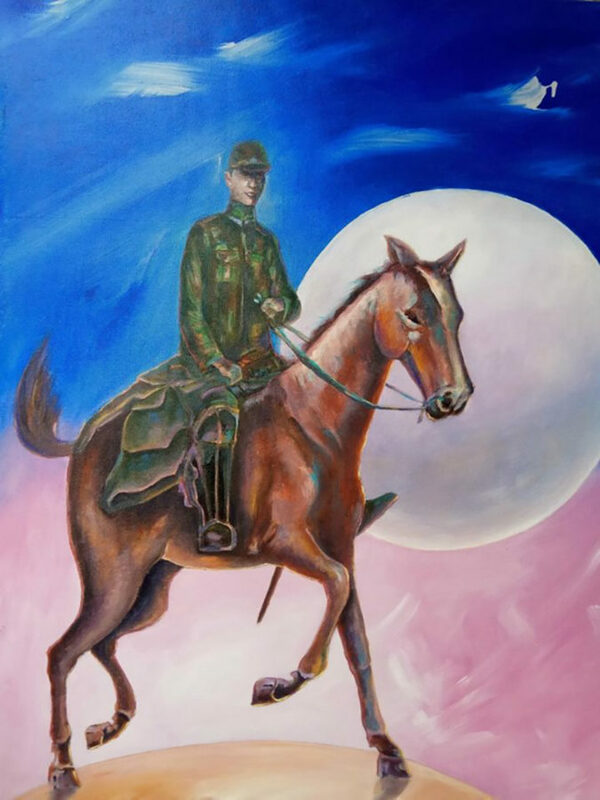 Suu Htet Aung created a series of the General in this posture last year. 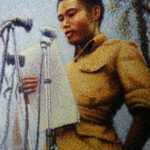 “Today, Daw Aung San Suu Kyi is boldly walking through a strategy. 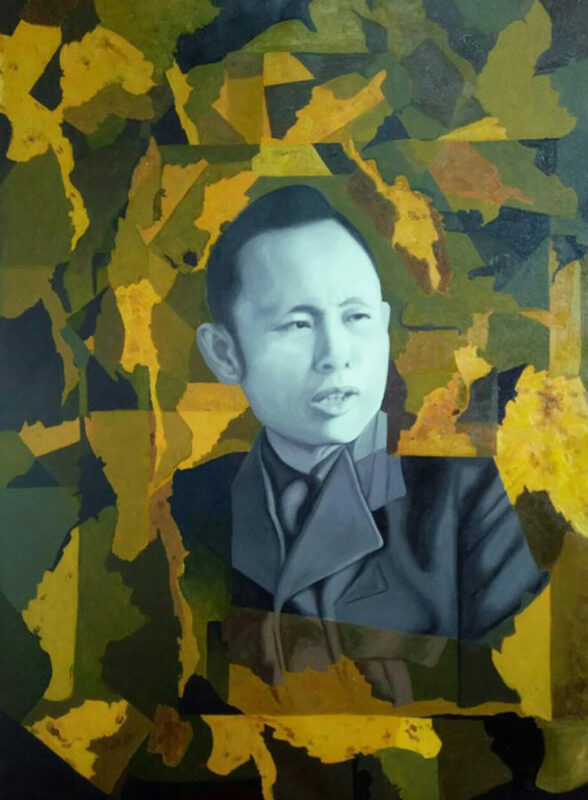 Likewise, Gen Aung San had to maneuver amid strategies in his time and achieved independence through various means,” said Suu Htet Aung. 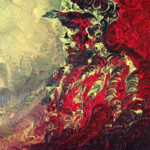 The exhibition has 21 oil and acrylic paintings measuring 4 feet x 3 feet and 3 feet x 2 feet, priced between US$200-$900.